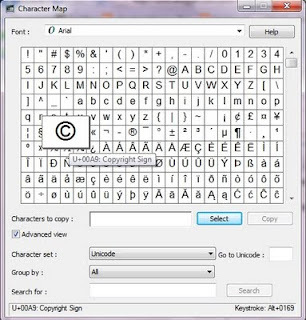 If you want to type special characters like © , ® from keyboard, you need not any special special software ,just follow the codes given below and specific character will be typed. To get more characters , you can use Character map . You can access it via programs> accessories > system tools > Character map. It is very useful built-in tool for windows 7. 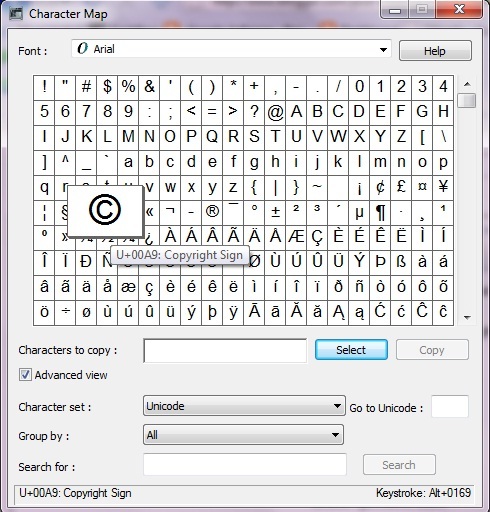 It will show HTML code, HTML description and includes hundreds of characters.